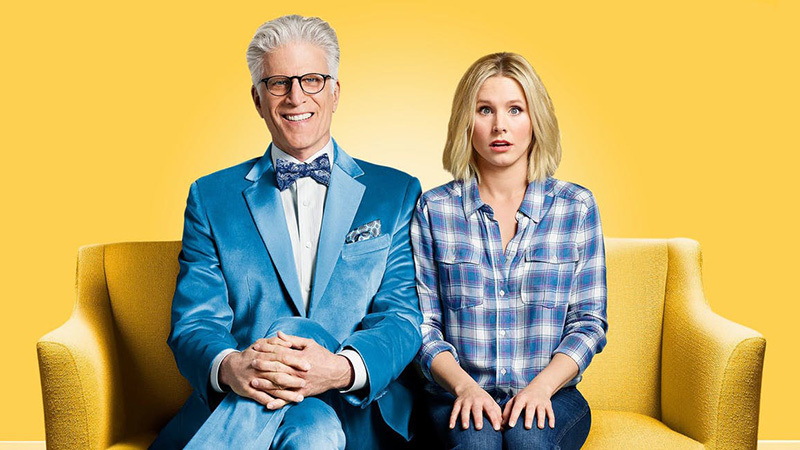 NBC has renewed their fan-favorite comedy series The Good Place, starring Kristen Bell and Ted Danson, for a fourth season, Entertainment Weekly has confirmed. Season 3 is currently airing, with a new episode scheduled for this Thursday before winter break. The show will return in mid-January before airing its Season 3 finale. In The Good Place, Kristen Bell’s Eleanor has died after a selfish, not-so-nice life. She’s met in “the good place,” a.k.a. heaven by Michael (Ted Danson), who explains that she’s come to heaven and will live a wonderful life with her soulmate Chidi (William Jackson Harper) in her dream house with dream friends. The only problem is, she’s been mistaken for a different Eleanor, one who has led a life full of good works. This isn’t her soul mate or her dream house (it’s full of clown art) or anything she actually likes. She and the friends she makes have to figure out what’s going on before something terrible happens. In season 2, Eleanor and her friends have an entirely new take on what’s actually going on in “the good place,” and who Michael is. The first two seasons are currently streaming on Netflix. The Good Place stars Ted Danson, Kristen Bell, William Jackson Harper, Jameela Jamil, Manny Jacinto and D’Arcy Carden, all of whom should be back for season two. In addition to executive producing, creator Mike Schur serves as writer and showrunner. David Miner, Morgan Sackett and Drew Goddard also executive produce. The Good Place is produced by Universal Television, Fremulon and 3 Arts Entertainment.